What an exciting whirlwind it’s been. I’ve enjoyed reading the Richard Armitage-related blogposts and each of your comments. It’s great to see so many participating. A big thank you for all your kind and humorous comments and also your submissions to our collaborative projects. Hope you had a good time. I sure did! Now it’s time to take part in a relaxing graduation celebration. Below you’ll find a recording of Pomp & Circumstance and also a little reward for each of you who commented on this blog. You are all superstars! 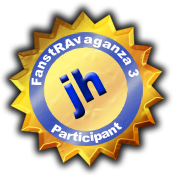 This entry was posted in richard armitage and tagged actor, fanstravaganza, john thornton, north & south, richard armitage, richardarmitagenet, richardarmitagenet.com, richardarmitagenetdotcom. Bookmark the permalink. How sweet of you, Bcc!!! 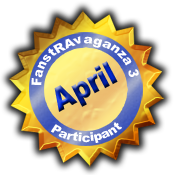 I certainly loved being a part of this RA celebration!! You never stop surprising me with you criativity, since the first time I visited your blog!! Congratulations and thanks for always bringing us to be a part of your projects!! @Luciana: Wow, I so appreciate all your contributions to FanstRAvaganza! So much more fun that way. 😀 I honestly couldn’t do it without you. twas lots of fun, looking forward to your next epic project! and thankyou for the rosette! @Meryl: I have a few notebooks worth of ideas, LOL! I’m thrilled you were able to join us and thanks for your ongoing support! @cdoart: I can see why Pomp & Circumstance has become the graduation march. It’s very inspiring. 😀 Thanks again for all your hard work in the festivities! How could I NOT respond to your wonderfully creative work?! ❤ Thank you! @Margie: That’s very sweet of you to say, thanks! I am delighted to get to know you and your sense of humor better. So nice! TY for the medal! @Teuchter: Wow you must’ve been a naughty child if you’ve never earned a gold star before, LOL! 😉 Well I think you’re special to help me out as you continue to do and you have my massive thanks! Thank you Bccmee. You are creative, fun and have a great sense of humour. You did a lot of work for us and made the week fabulous. Thanks again. @gracie: You’re quite welcome and I truly appreciate your comments and input! You are a doll! I have loved all of your blogs! It has been a fun week! Look forward to seeing what else you come up with for us! I’m proud but unworthy to occurence in such honorable circle! Greetings and hugs for everyone! Joanna aka Polish domestic hen. @Joanna: It’s great to have you! I am eager to visit Poland someday by the way. I was on the border when I visited the Czech Republic but never made it all the way, LOL! Thanks so much Bccmee – how thoughtful of you to give out gold stars!! We ought to give you a chest load of gold stars, as you bring us so much enteRtAinment. News of Richard is very sparse at the moment, and places like this help to keep us sane!! @Chrissy: How lovely of you to say! Yes, I’m eager for some new Richard Armitage news but luckily there are many great bloggers and commenters to keep us occupied in the meantime. I owe you a great debt of thanks for your input! Thank you so much for the Gold Star, bccmee! It was very sweet of you. I’m sorry I wasn’t able to comment for a few days….I was having trouble with WordPress. And thank you for all your hard work during FanstRAvaganza….it was a fantastic week! @Debra: Yes, I have received messages from a few commenters who were unable to get through which is a shame. However, I’m glad you were persistent and kept trying! Thanks so much for participating! Thanks so much for the F3 Gold Star of participation! I really appreciate it! F3 was so much fun! And I so enjoyed finding out about other blogs that were new to me. 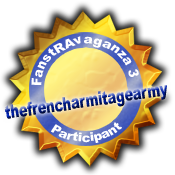 The RA Fan community is really a wonderful group of ladies! P.S. The last time I received a gold star (for fun) it was for mastering making eggs sunny side up in college as a breakfast grill cook. That award said, Mark of Eggcellence. Ha! @Gratiana: Your star is well-deserved! 😀 I agree totally that there are lots of blogs out there worth exploring and I’ll be a regular visitor. Thanks again for all your support and participation and good luck in your academic endeavors. Bccmee! Your posts have definately been an absolute FanstRA 3 highlight for me! I’m not going to go into details, because you know how much I enjoy what you do! So all I’ll say is Thank You for making it so darn fun!!! You truly are wonderful, creative and entertaining! @IWantToBeAPinUp: Hee hee, I almost needed two awards to fit your username, LOL! 😉 I totally loved your blogposts and it was great to see what you came up with each time. It sounds like both of us are fortunate in our choice of sisters too. People who aren’t fortunate enough to have faboosh sisters will never understand! They push you so much further than you would have ever gone! Mine is really creative and we work so well as a team. She now wants to know how to “make those pictures move” 🙂 Bless her, not an RA fan, but she really got swept up in FanstRA 3! Thanks — and thank you! @servetus: You’re quite welcome. And I must add a big thanks for all your work on the event! Thanks to you Bccmee for your creativity , your fun and your energy , it’s always a great pleasure to be here. It’s so kind. Thank you for all you’ve done! It’s always a great pleasure to come here and see your work. @Fred: You’re very welcome. Thanks for playing along–it’s always a pleasure to see you! You created a whole lot of fun in a short amount of time. Thanks so much! @Kathleen: Nothing like a deadline to help get the job done, LOL! I appreciate your participation, thanks! Thank you for your kind words Bcc, I’m sure I’ll be a regular visitor here! Can’t get enough of the RA goodness! 🙂 When did you visit Budapest? @Judit: I’m delighted you’ll be back for more. I hope to have my next blogpost done by Thursday. @jasrangoon: Glad you like your prize! 😀 Thanks for your great blogposts during FanstRAvaganza too! @Ania: Thank you for all your support and contributions. I’m so glad you’re a member of the RA community! Thank you, Bcc.You´re very kind. I confess that I was a bit surprised with this surprise. In fact, this is the first medal that I recept in all my life.However I think you are the person who deserve to receive all the golden medals for making our days more enjoyable and funny, all the times we visiting your blog.I just regret haven´t participated more times as I would like. God bless you! OMG, OMG, I can’t stop smiling. I got two golden stars, I tried several times but had problems so I had to comment as Virna and vec170203, but well I got two!!! (insert evil laugh here)…. Thanks Bccmee, I am very impressed, you’re very talented. This was a very entertaining week. Thanks…. 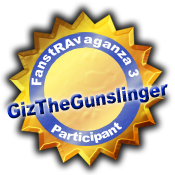 @vec170203: *giggle* I’m glad you won two prizes by accident, LOL! I really had a lot of fun thanks to you! Thanks, Bcc mee! Great blog! I wish I could commented sooner. GRrrravatar wouldn’t let me! Now I’m using good ol’ Facebook. Yippeee! Success at last! Great blog posts — haven’t got to them all yet… but I will! @Phyllys Faves: Sorry you had problems but I’m glad you found a workaround! I’m not sure what changed with WordPress but a lot of people have had problems this week. Happy bloggiversary by the way! Let’s have some cake, LOL! Bccmee you shouldn’t have but I love my gold star. Thank you for all your fantastic creative efforts along with everyone else for last week but then for every other day as well. I absolutely had a blast being involved with my first and it won’t be the last. Huge hugs. @lucylou: I’m so happy you like your star. 😀 I agree with you that all the bloggers did a fantastic job! *HUGS* to you too! @Fabi: Mmm, Thorntons chocolates sound dreamy! 😛 Thanks again for your participation! This 3rd FranstRAvaganza was great. Unfortunatelly, I haven’t been able to read every posts in all the blogs. Because of lack of time and also because it’s not easy for me to read in English, it takes a little time, lol. @April: It’s always a pleasure to see you! I thoroughly enjoy hearing what you have to say. 😀 It is such a great community indeed! What a lovely idea bcc!!! I’m still catching up with all the FanstRA posts. I guess it might still take some time as I’m quite busy at the moment. Then again the posts tide us over in this ongoing drought 😉 Thanks again! @Suse: It’s an RA feast! 😀 I think I read most of the posts but may have missed a few myself. 🙂 I appreciate your kind words of support, thanks! Thank you very much, bccme for the Gold Star! (I don’t realy deserve it, but I am happy to receive it). It’s a great honour for me to be in such great company. Congratulations for your work during FanstRAvaganza 3! I enjoy indeed visiting your blog! Thank you for the lovely cockade, lovely blogger! Well-done with all of this. I am sure it will be fun and enjoyable next year. Aaaw, what a cute thank-you! Thanks for taking the time to make all these!